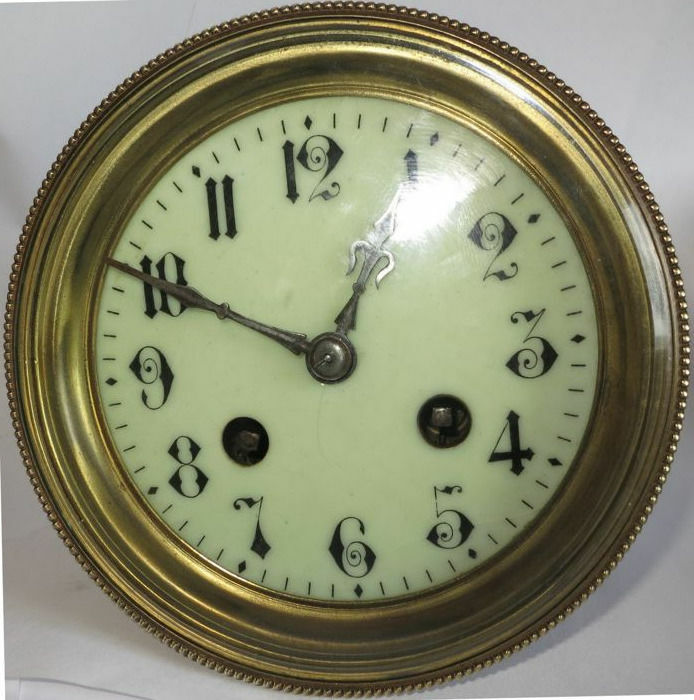 Large clock of very good quality. 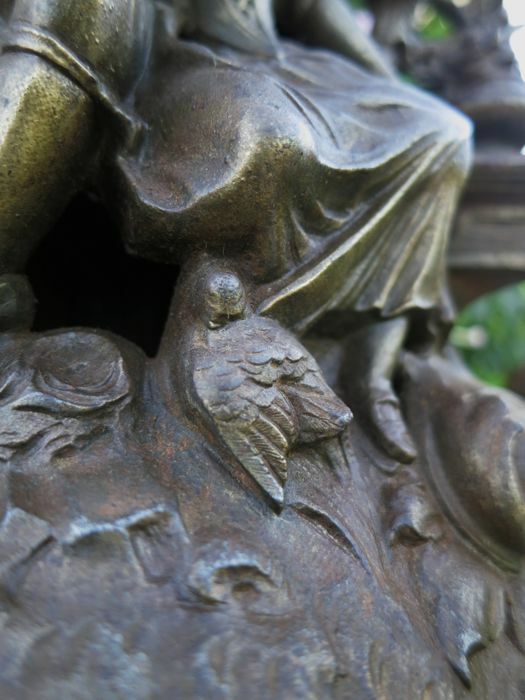 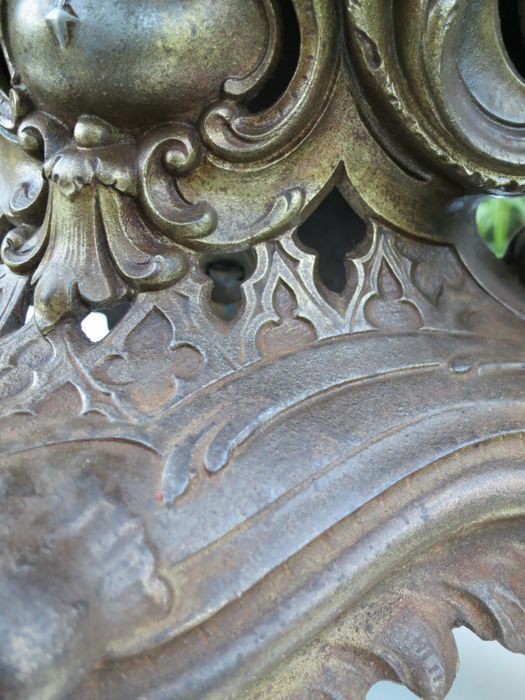 Romantic motif. 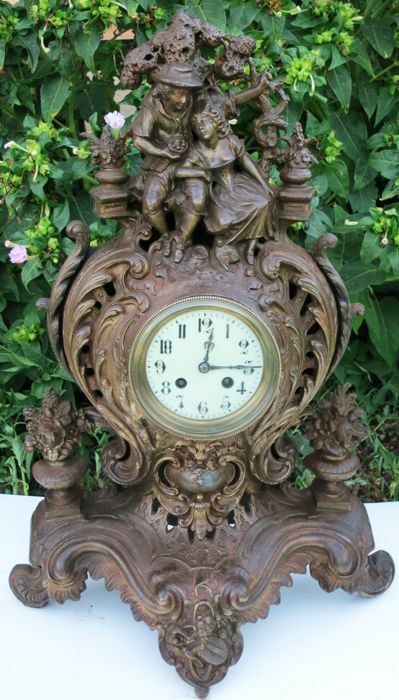 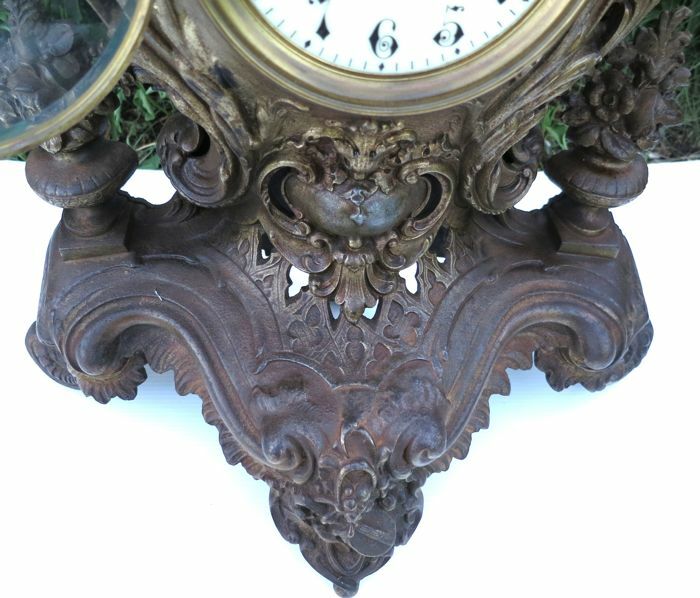 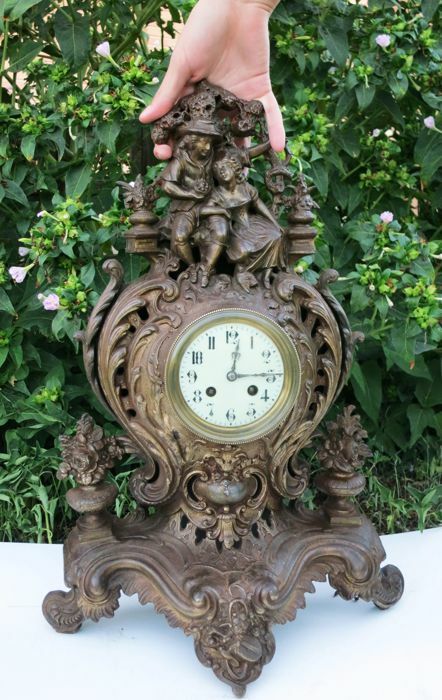 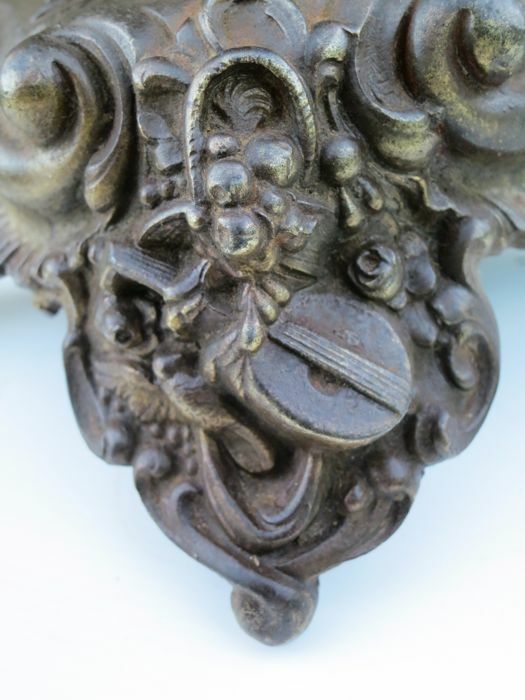 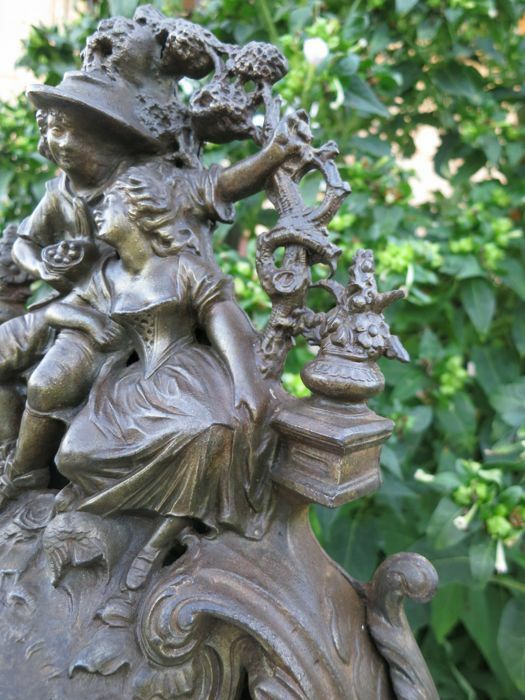 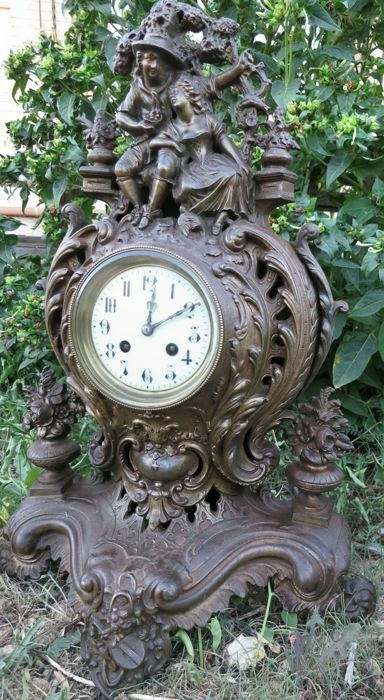 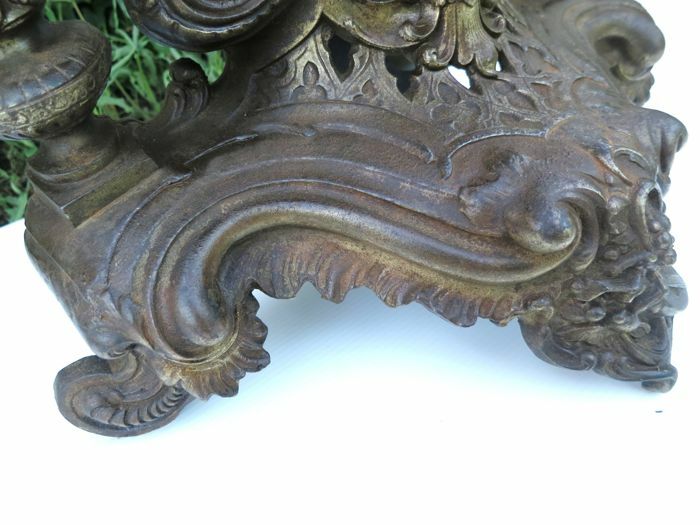 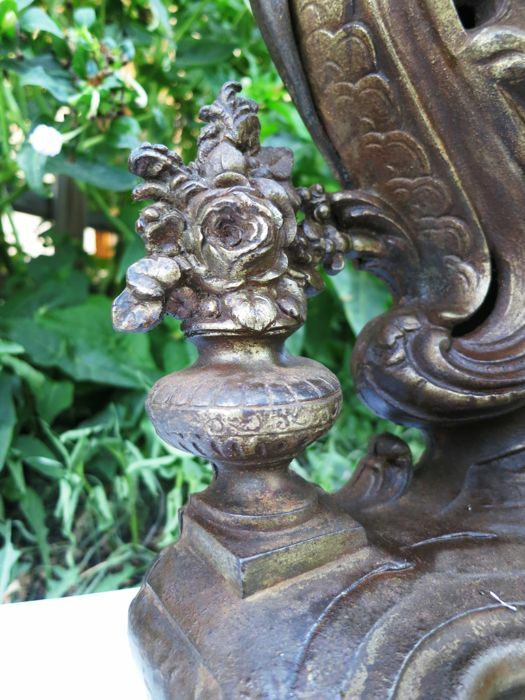 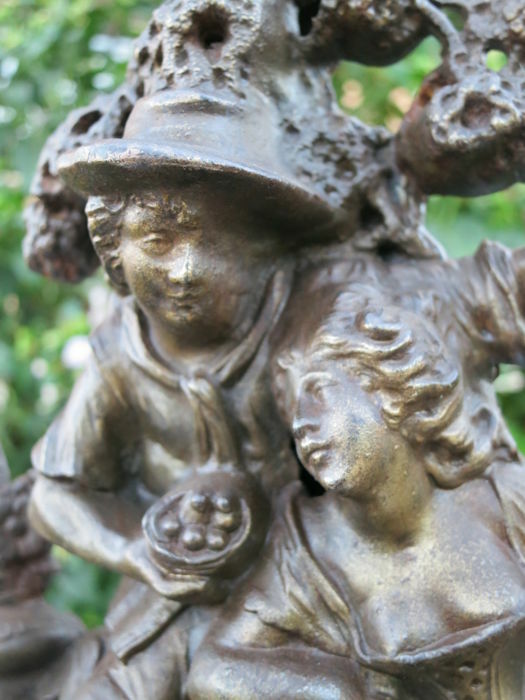 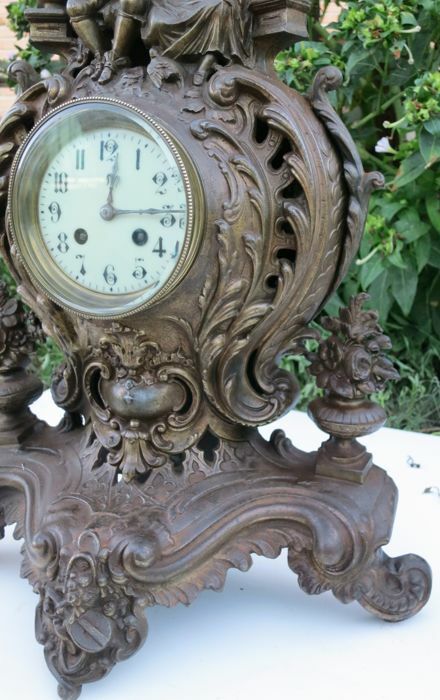 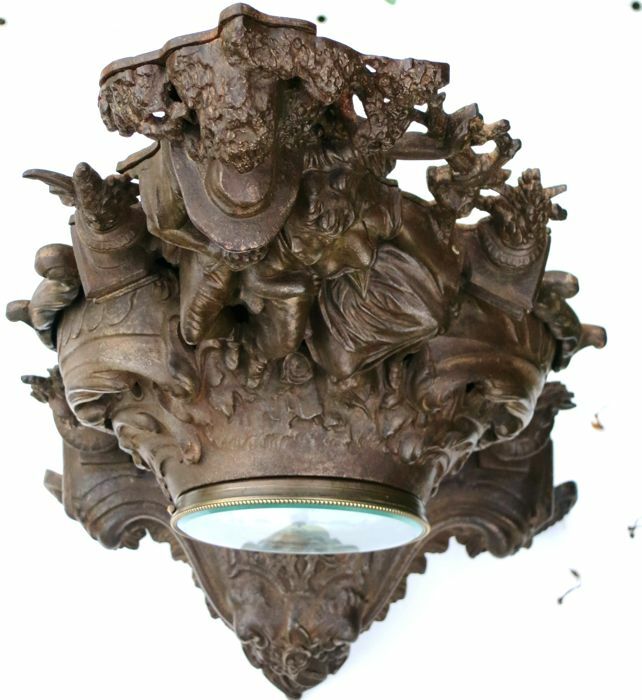 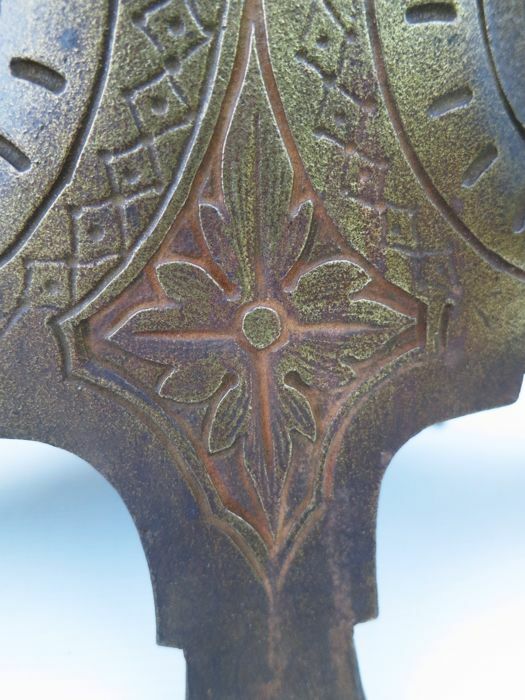 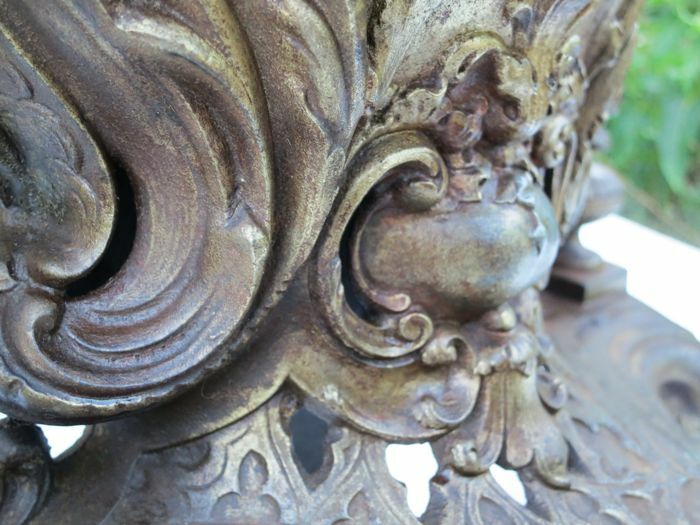 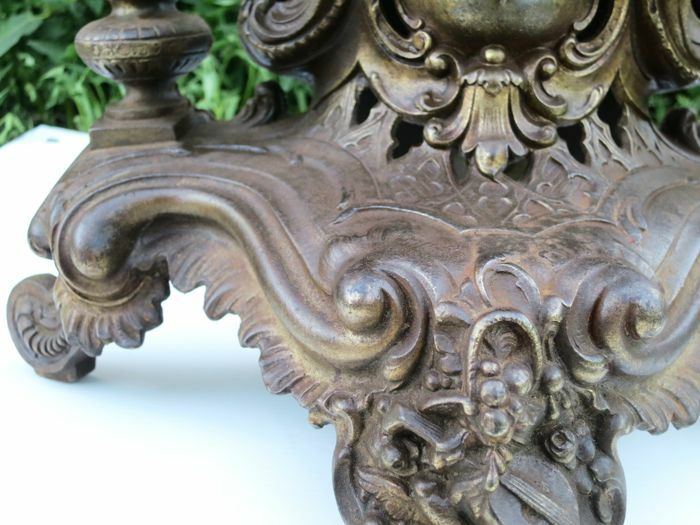 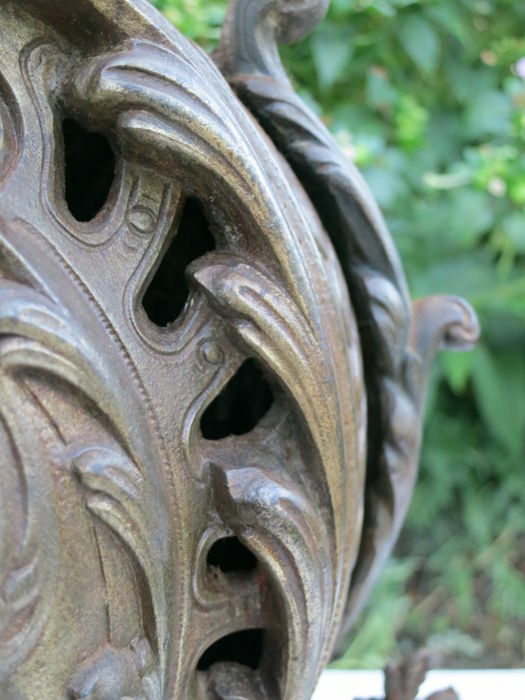 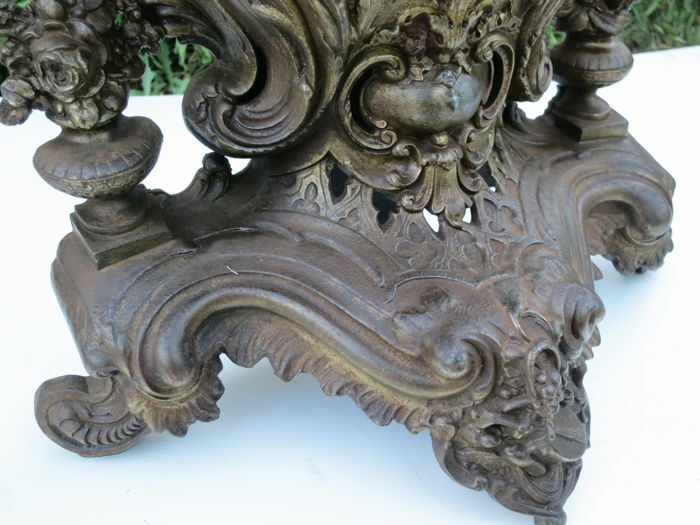 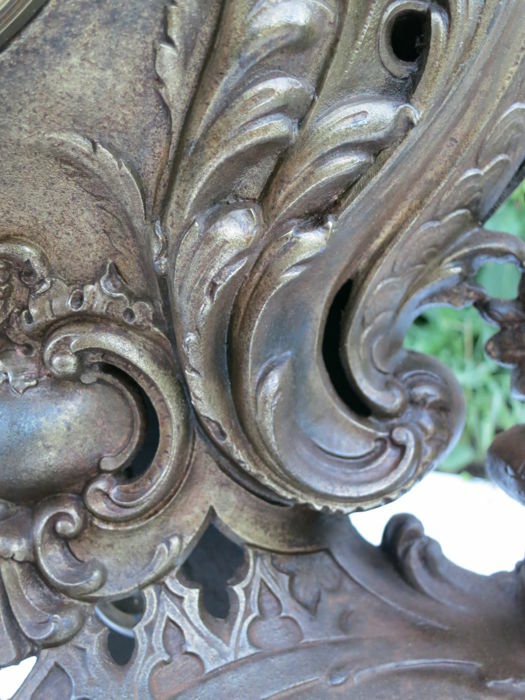 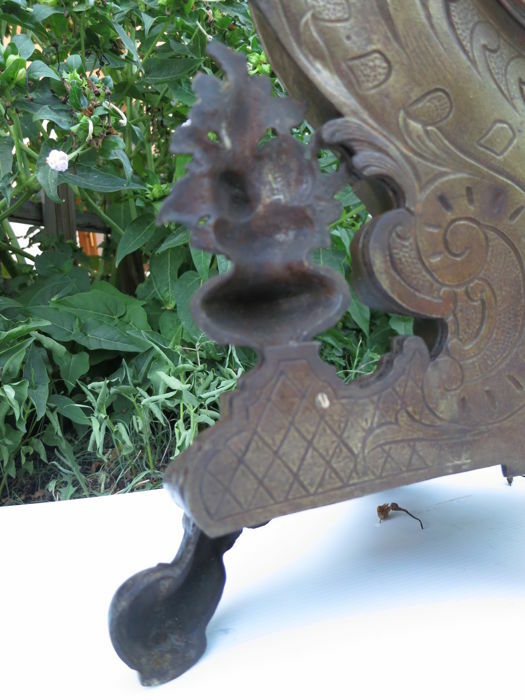 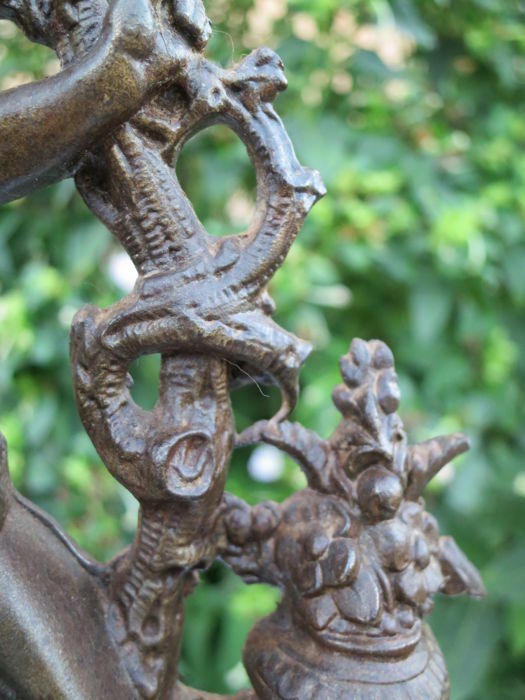 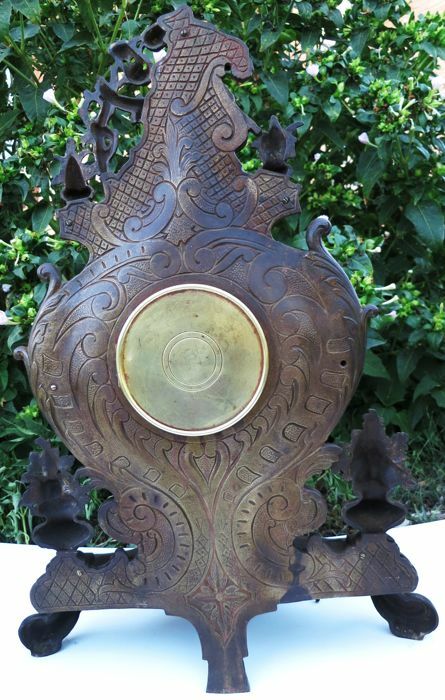 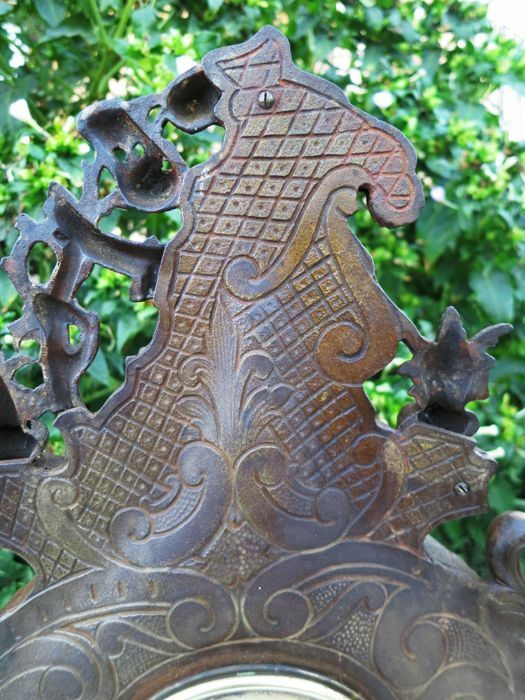 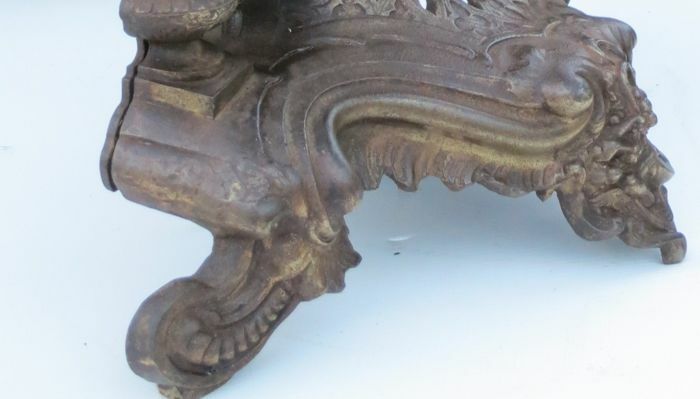 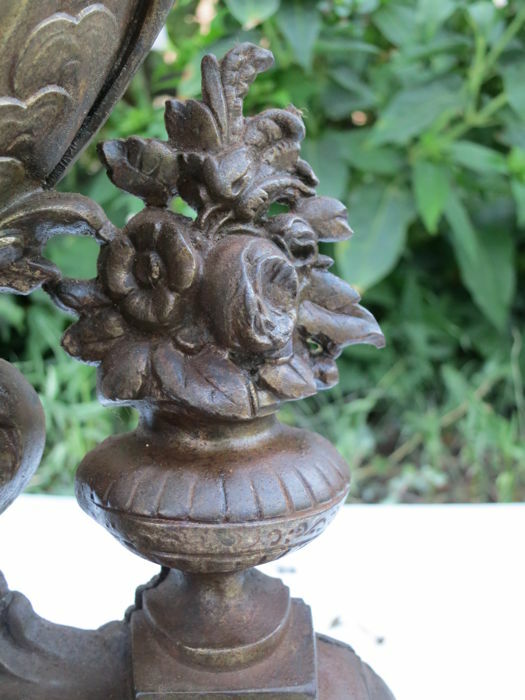 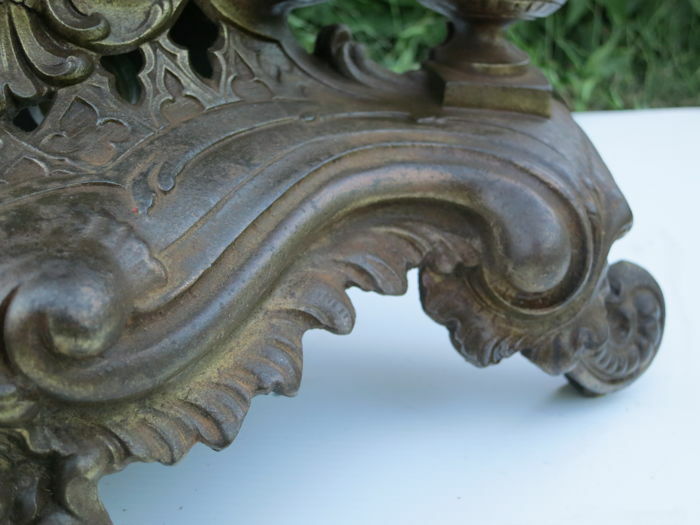 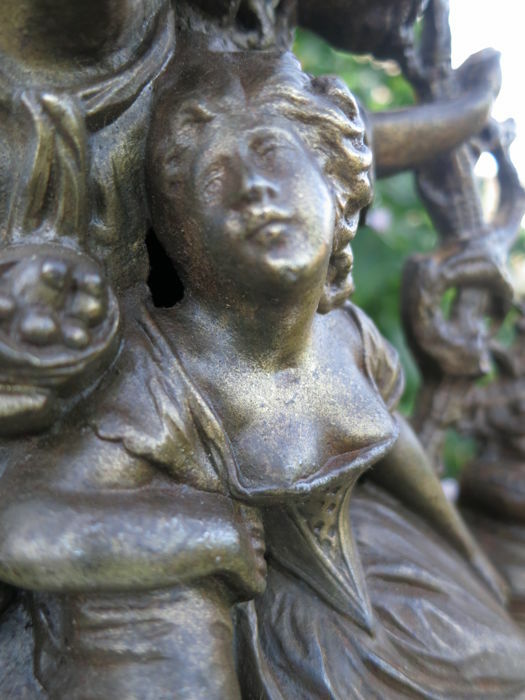 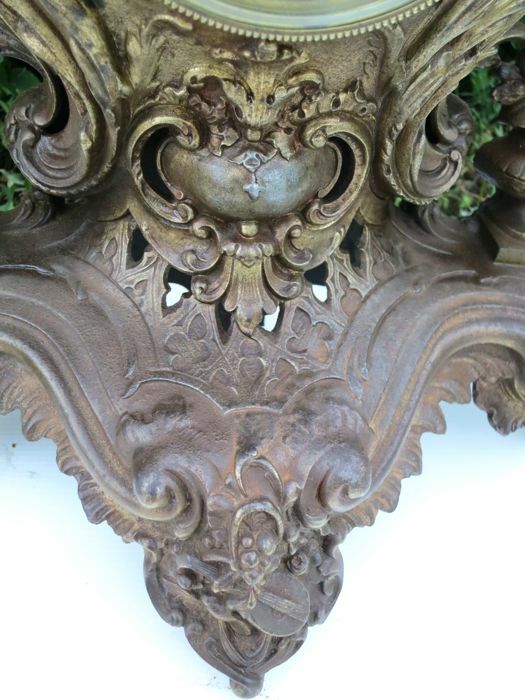 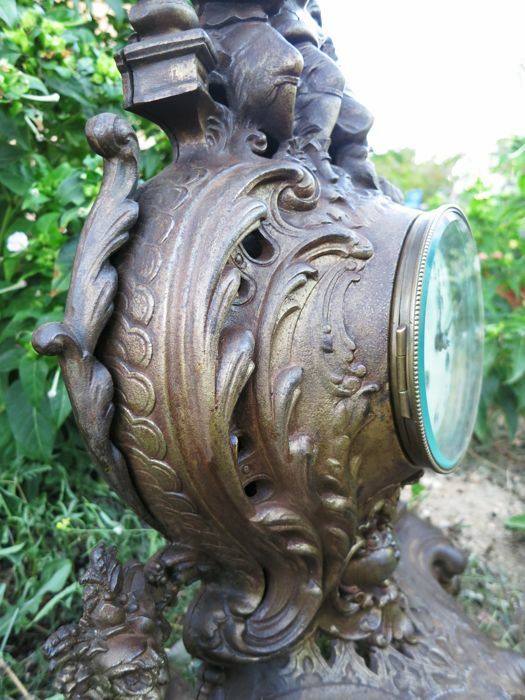 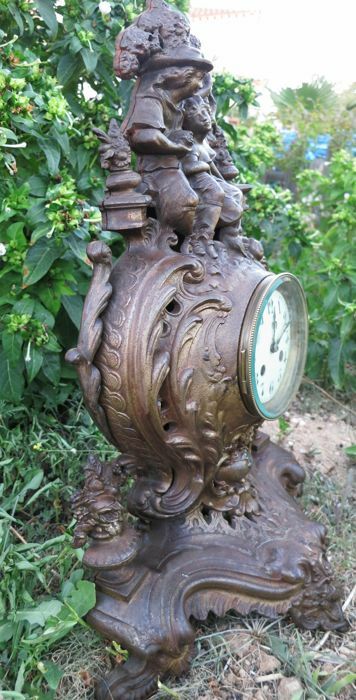 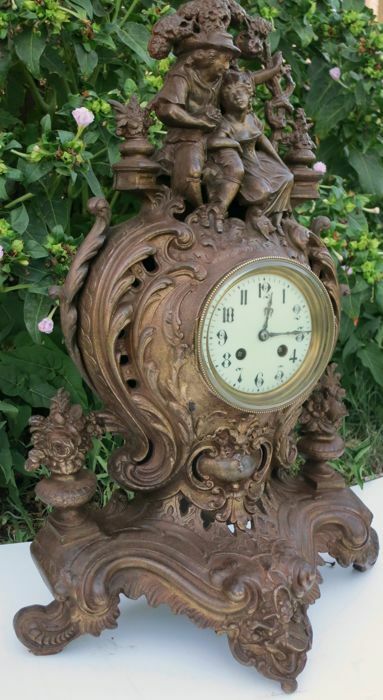 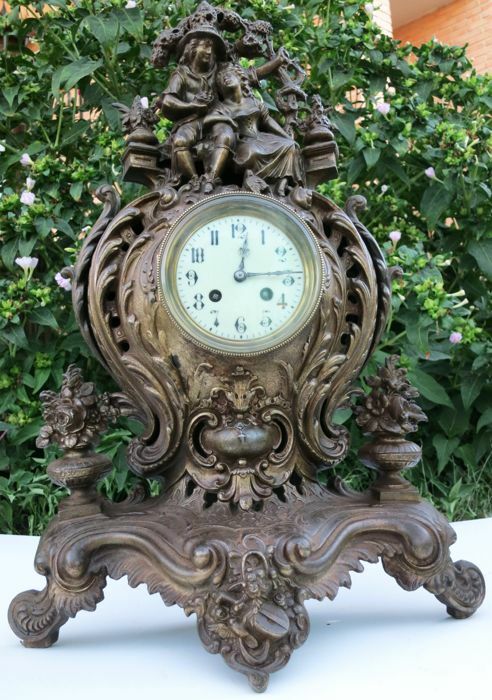 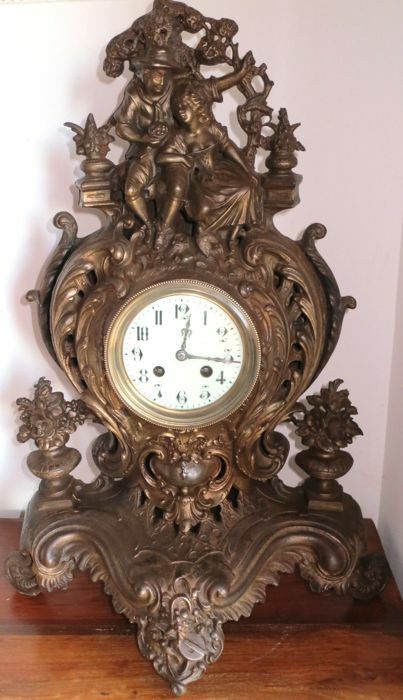 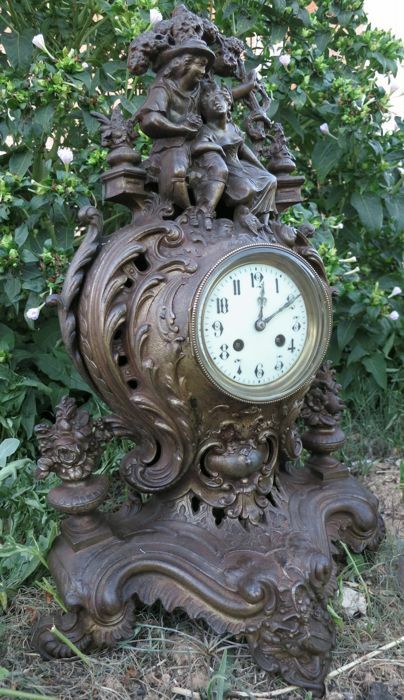 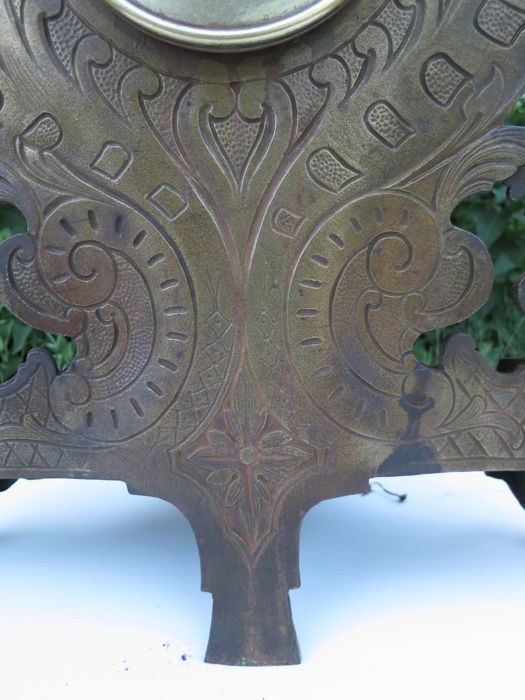 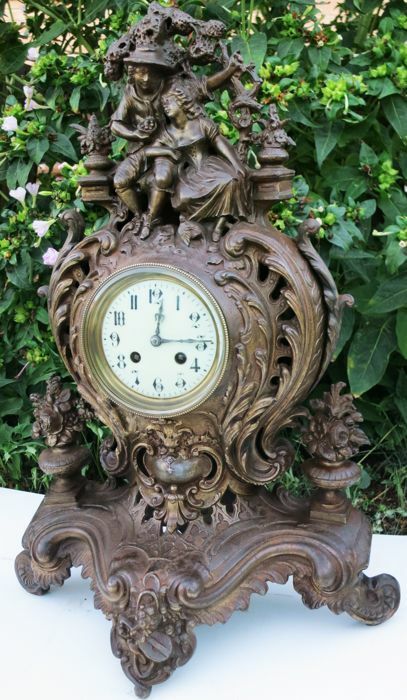 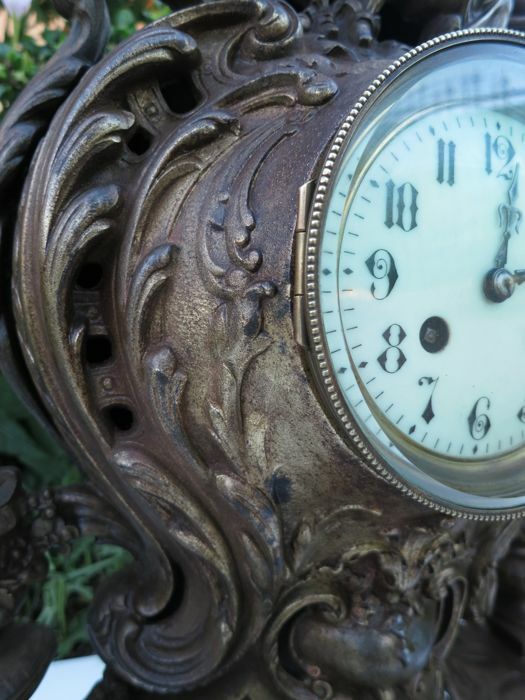 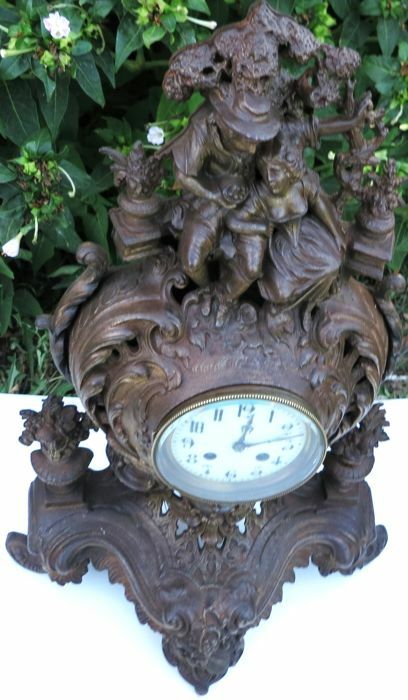 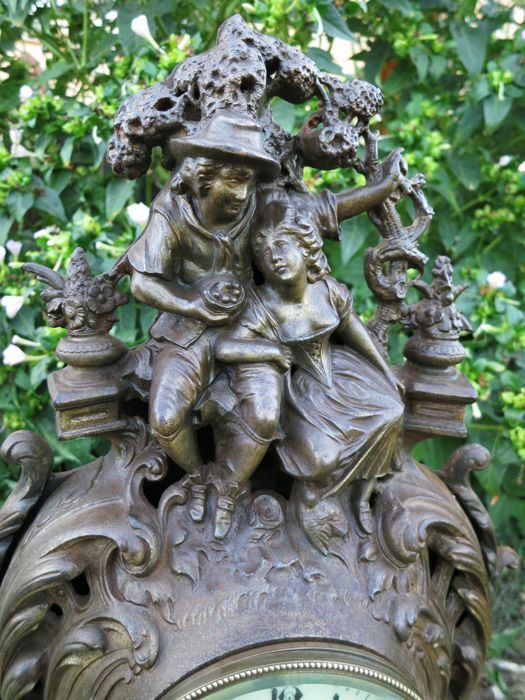 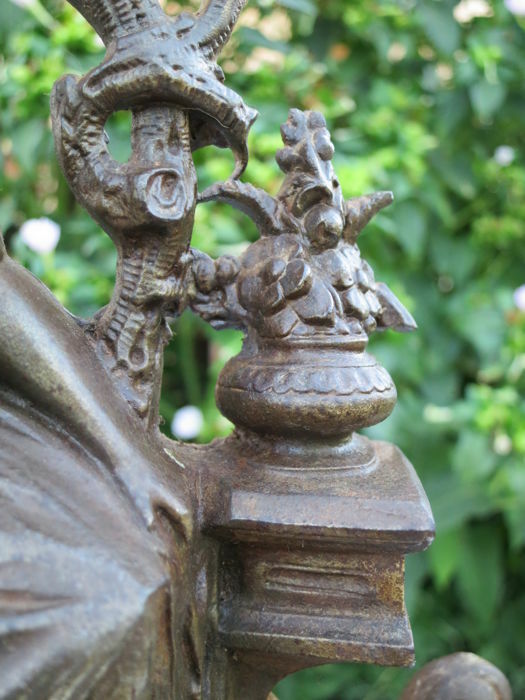 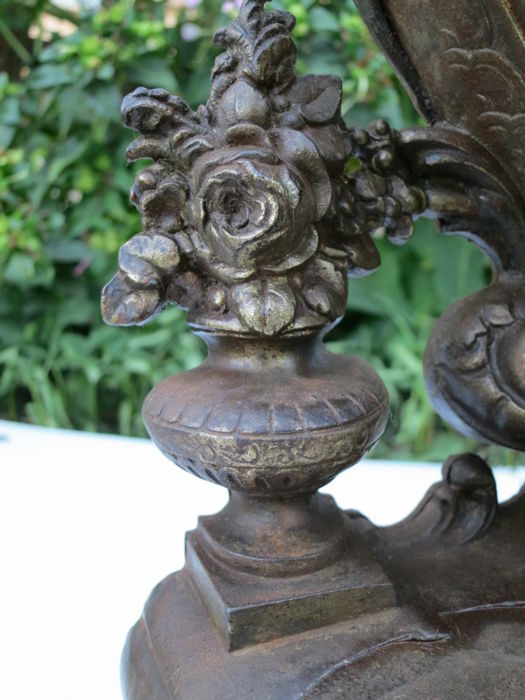 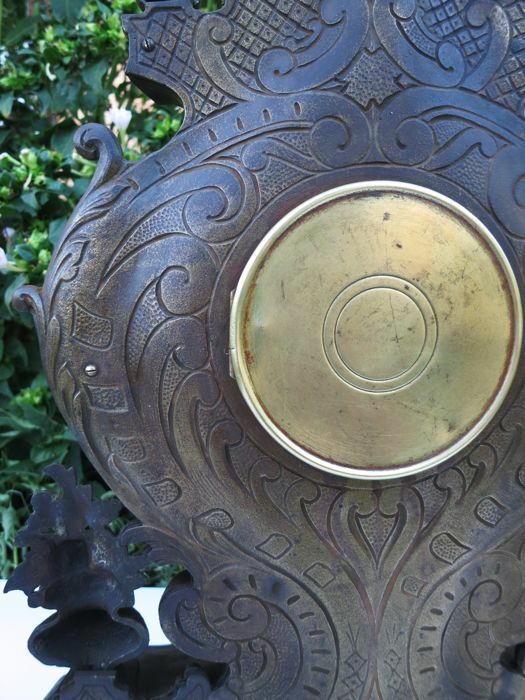 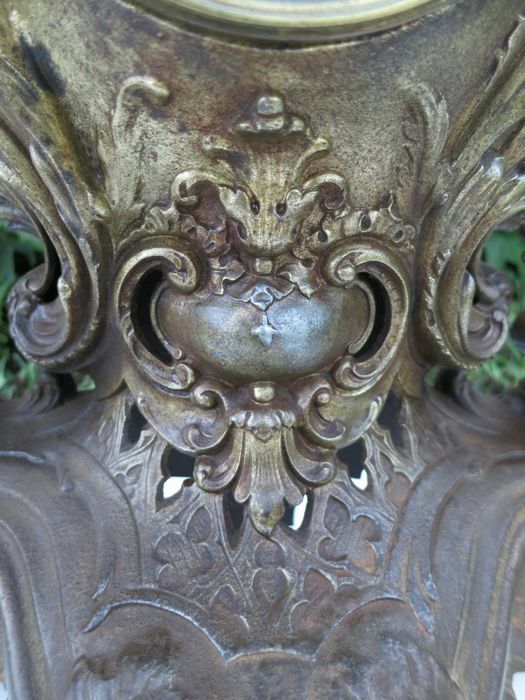 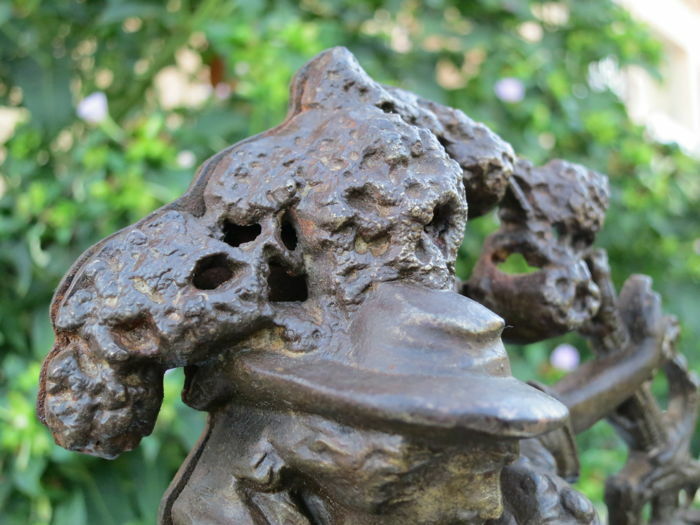 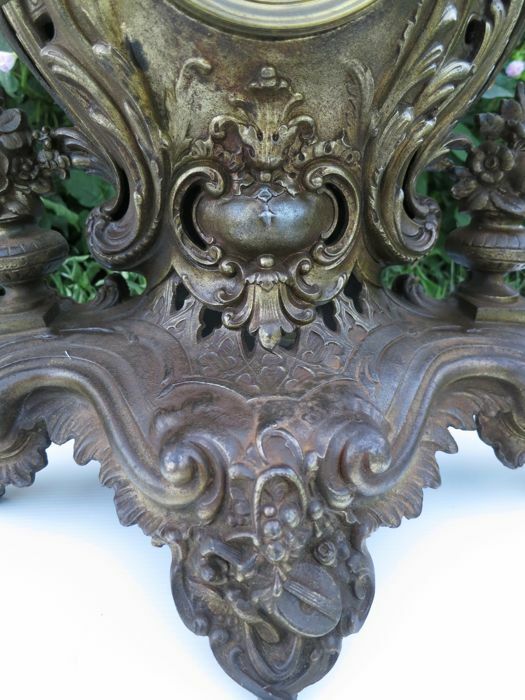 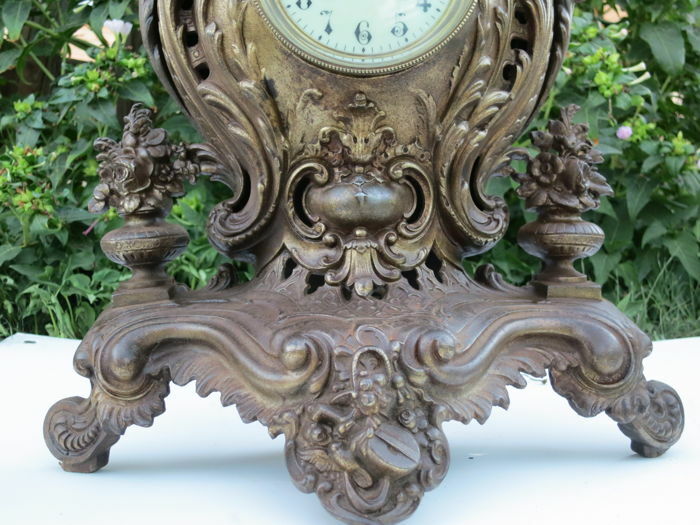 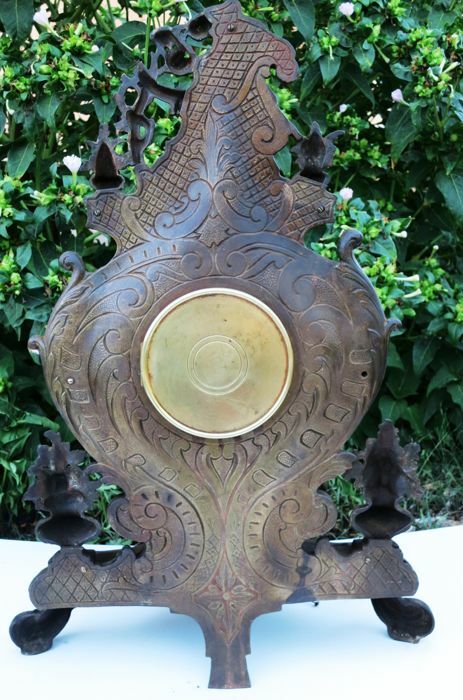 Rare and impressive sculptural clock in iron of great quality. 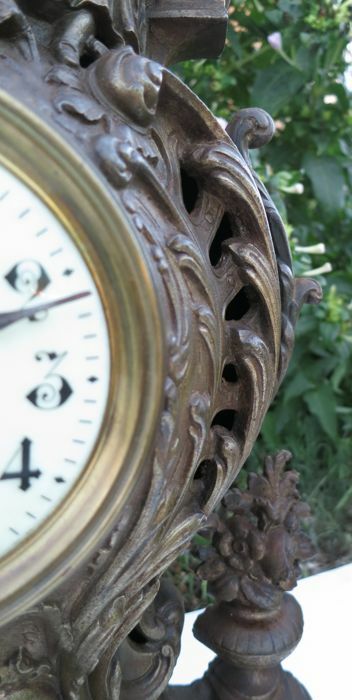 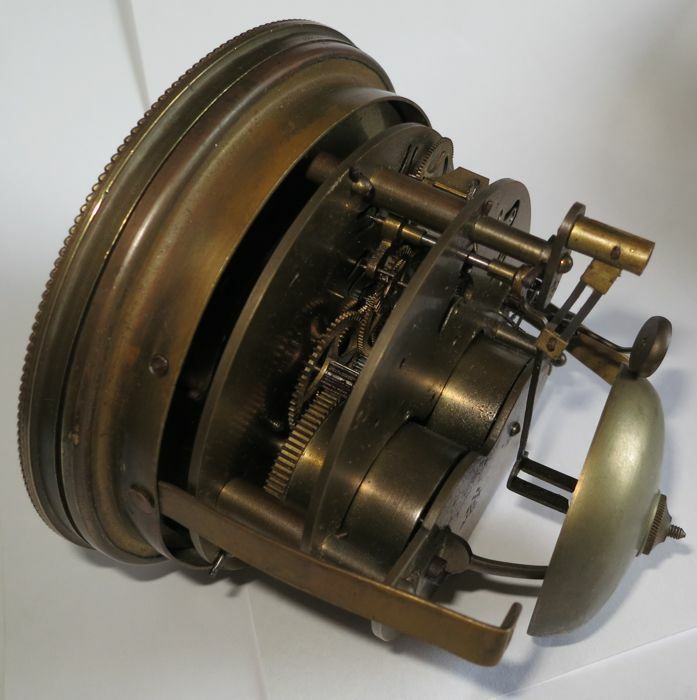 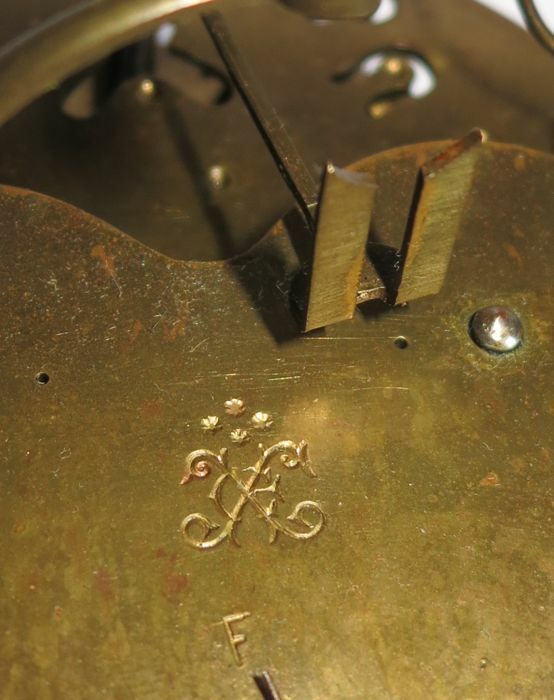 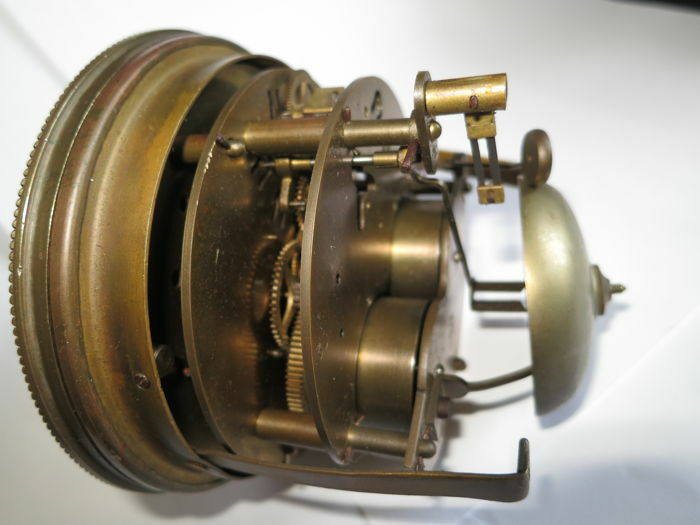 It is a very large clock (55 cm tall), composed of two pieces perfectly joined by screws (some changed by oxidation). 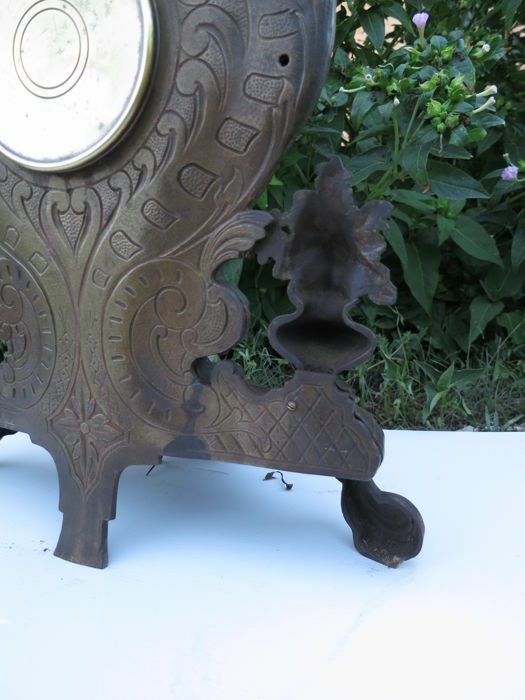 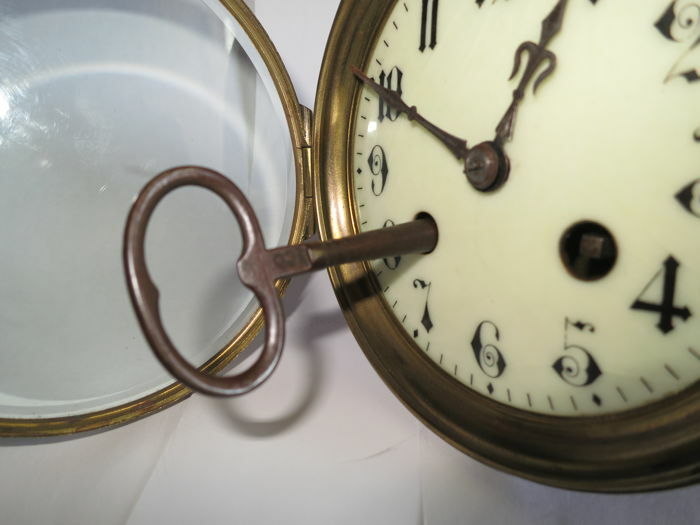 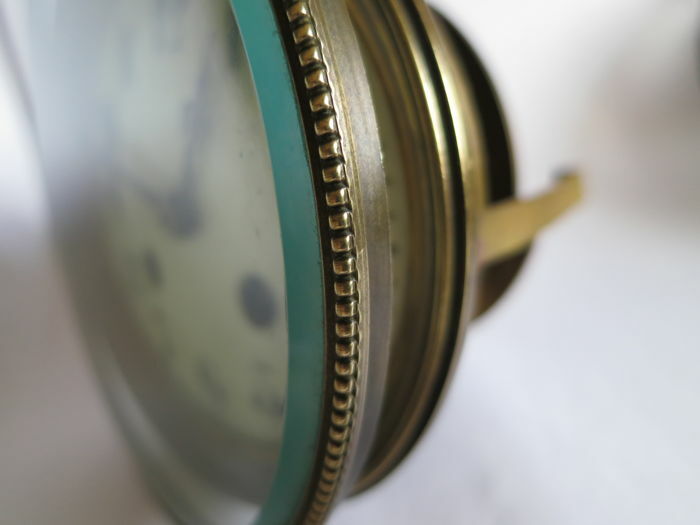 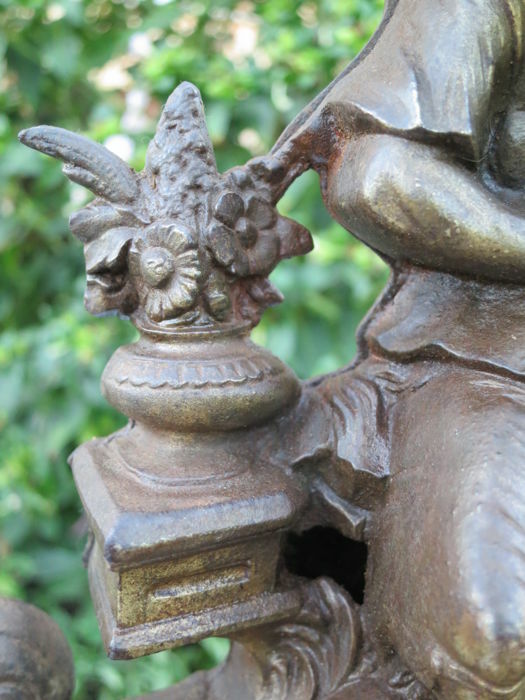 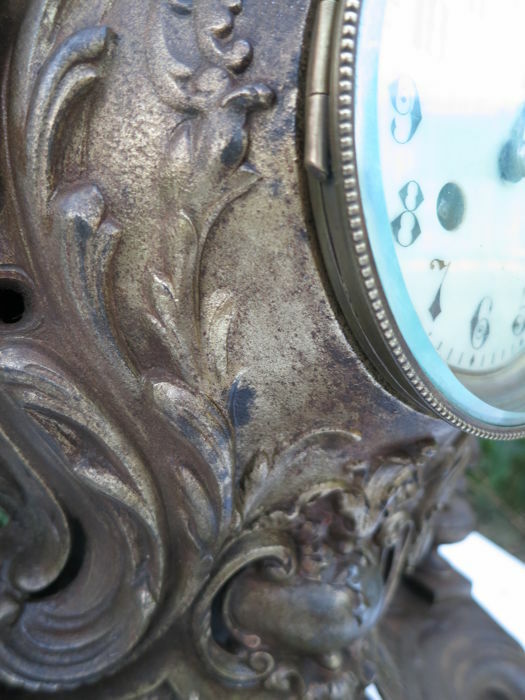 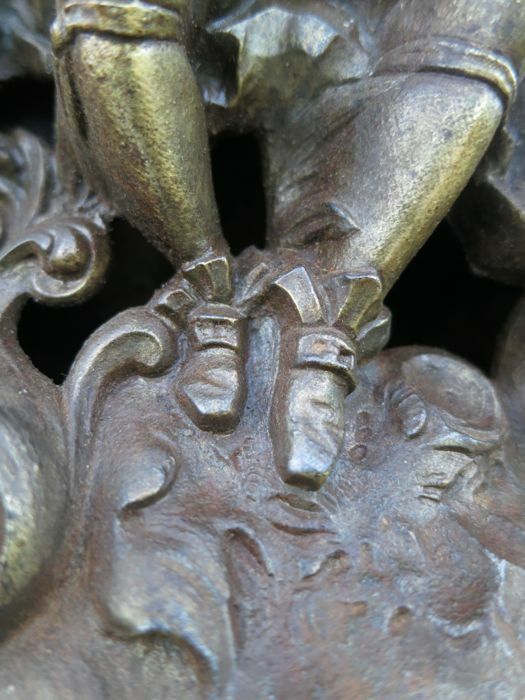 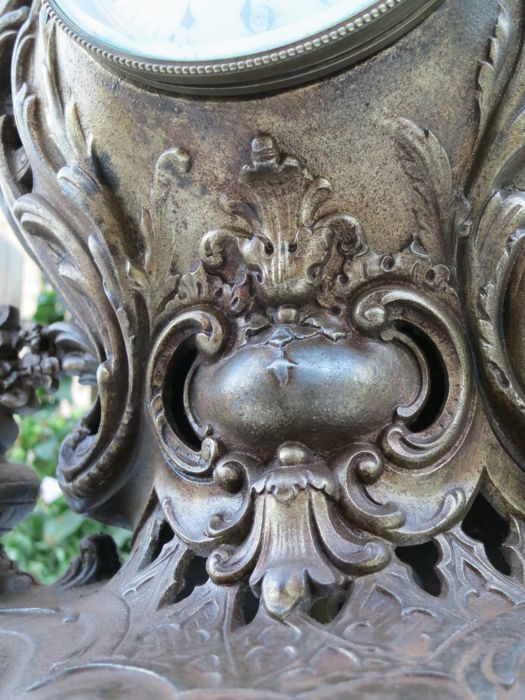 The clock needs a lot of cleaning in order to restore its original shine. 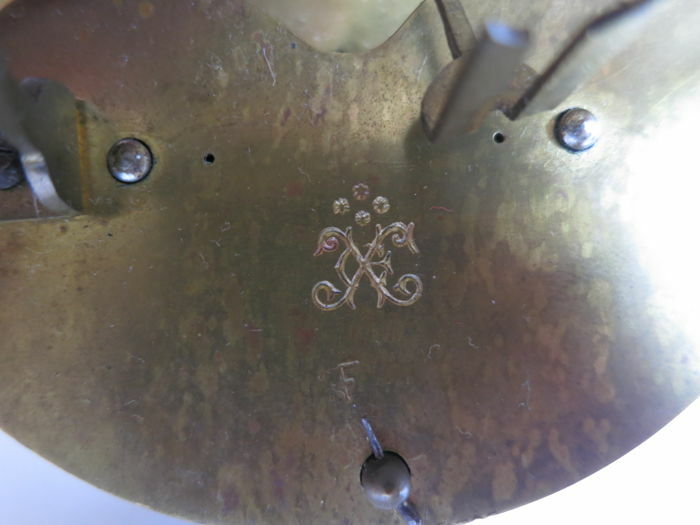 Complete with its crystal, Japy Freres seal, large 12 cm in diameter and 11 in depth Porcelain dial. 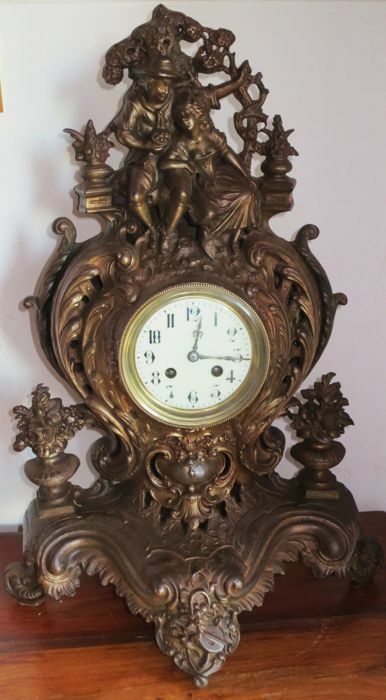 Key and pendulum included. 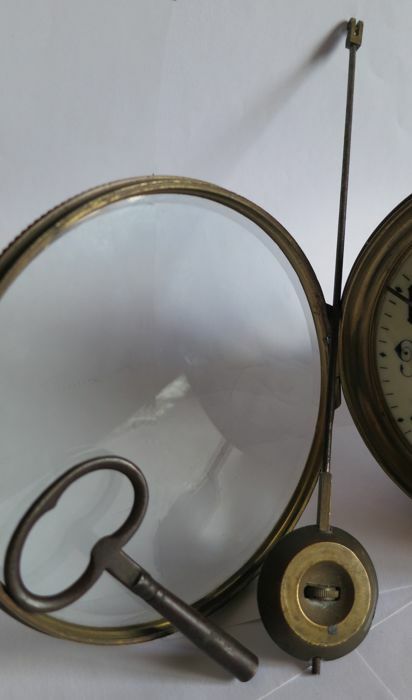 It works perfectly, perhaps after a relocation its balancing position will need to be adjusted for the perfect pendulum equilibrium in relation to its verticality. 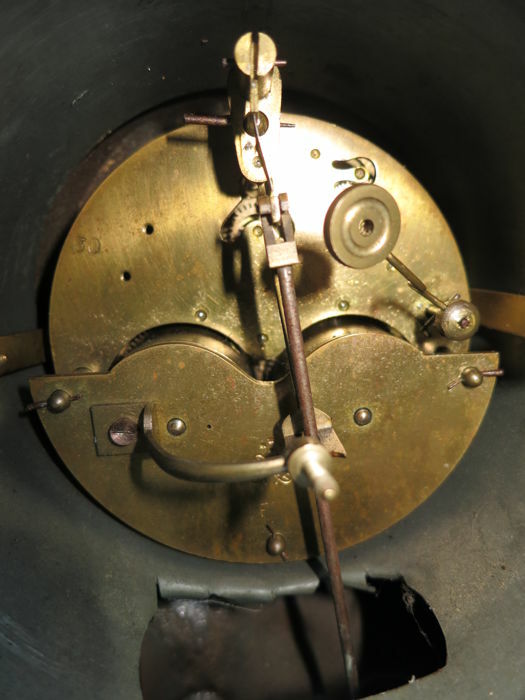 The pendulum is disassembled for shipment in order to avoid the suspension spring possible breakage. 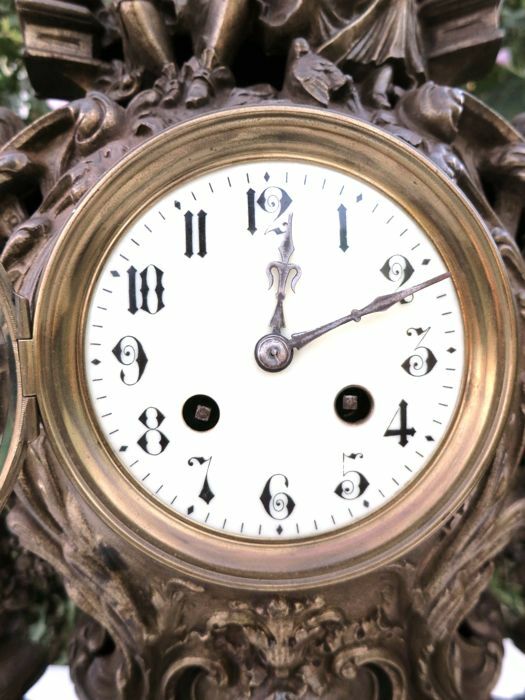 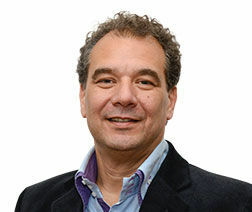 High number of photos and details included. 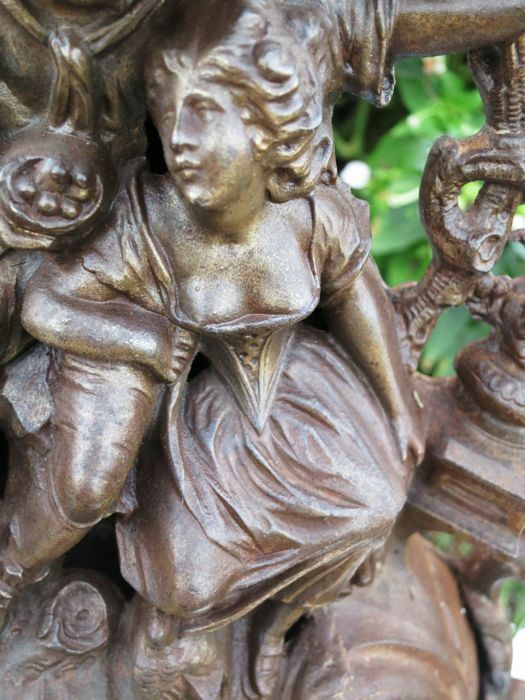 – Country of origin: France. 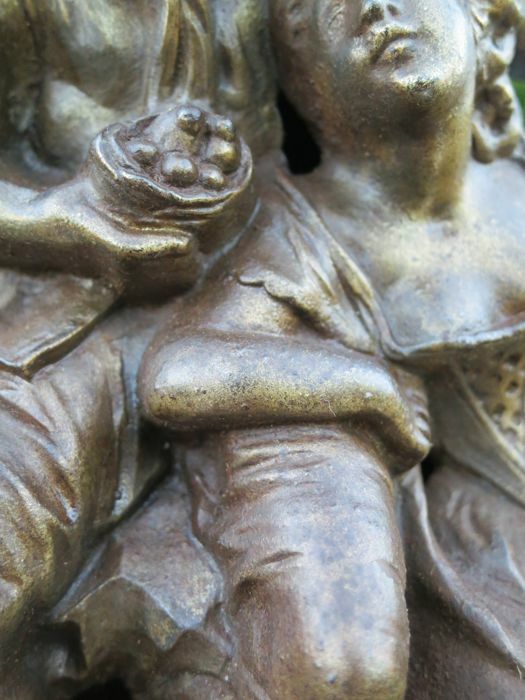 – This lot will be carefully packaged and delivered with insurance. 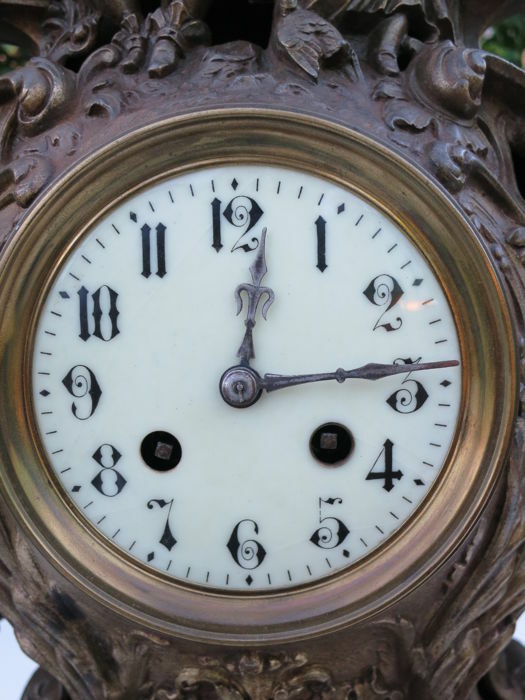 Il lotto è pervenuto rotto nella cimasa nonostante l'imballaggio perchè era già stato restaurato in modo inadeguato e il venditore ha offerto un rimborso irrisorio. 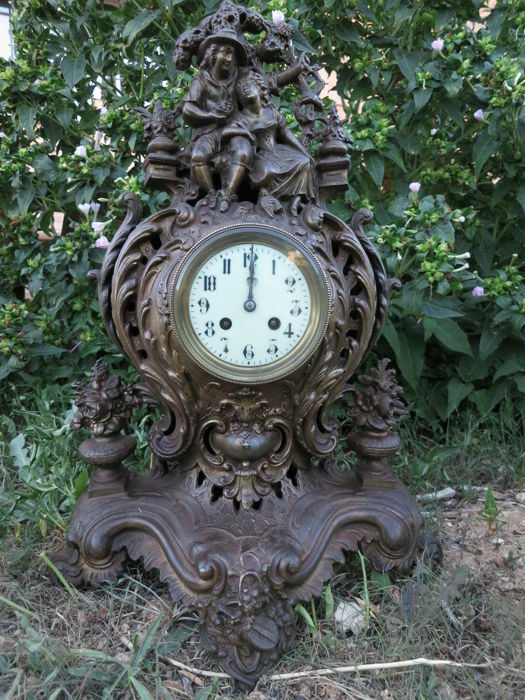 You can pick up this lot from the seller: Cobisa (Toledo), Spain.